Tive a ideia de criar um post all white, pois adoro ver estes outfits monocromáticos. Eu adoro looks todos pretos, mas sei que durante o verão é algo que não se vê muito e por isso, estou ansiosa que chegue o Inverno. Adoro o frio, ouvir a chuva, a roupa quente e confortável e beber cappuccinos no Starbucks quando chega aquela altura do Natal e vemos a rua iluminada com decorações e etc. mas já estou a falar MUITO à frente! 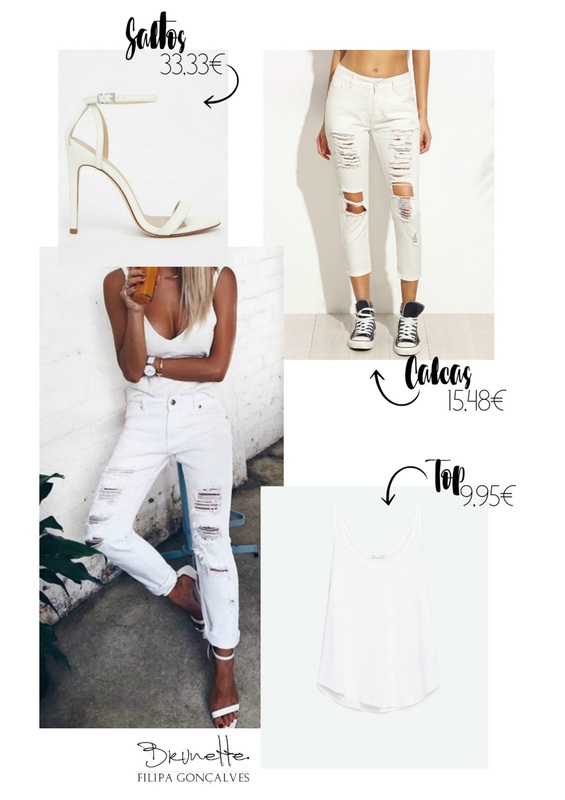 (risos) Com isto dito, queria trazer-vos um post que é o inverso do all black, venho trazer-vos looks all whites para esta estação e como conjuga-los com peças básicas e acessíveis. Este primeiro look foge um bocado para o formal e é perfeito para saídas românticas ou para aqueles jantares importantes de trabalho ou com amigos. Este look é mais descontraído, super básico e confortável. Apesar dos saltos, que para muitas mulheres são essenciais, para quem não gosta/usa pode-se sempre optar por uns ténis brancos ou umas sandálias simples. Este look é super elegante e informal, é perfeito para passear e ir almoçar fora. Pelo que já devem ter reparado, adoro os blazers da Stradivarius e com isso, uso-os sempre que consigo, seja para posts no blog, como no dia-a-dia. Espero que tenham gostado deste post, brevemente irei fazer um All Black para esta estação fria que se aproxima. I had the idea of creating a all white post, because I love to see these monochromatic outfits. I love all looks black, but I know that during the summer is something you do not see a lot and so I am anxious to arrive the winter. I love the cold, listening to the rain, the warm and comfortable clothes and drink cappuccinos at Starbucks when it comes to the Christmas time and see the street illuminated with decorations and etc. but I'm talking VERY ahead! 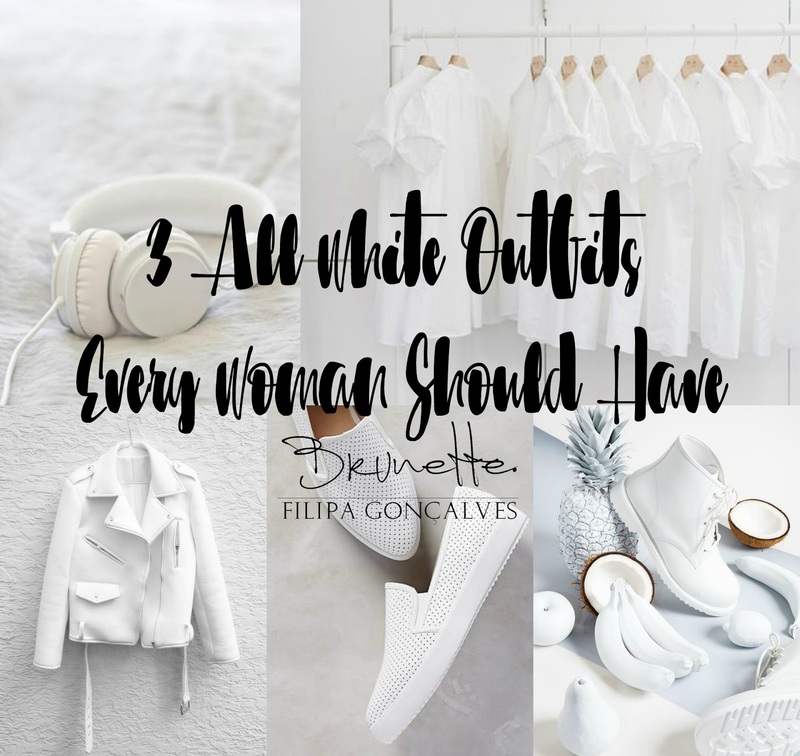 (Laughs) With that said, I wanted to bring you a post that is the reverse of all black, I bring you looks all whites for this season and how combining them with basic and affordable parts. This first look was a bit to the formal and is perfect for romantic getaways or for those important work dinners or with friends. This look is more relaxed, basic and super comfortable. Despite the heels, which are essential for many womenfor those who do not like / use can always opt for a white sneakers or a simple sandals. 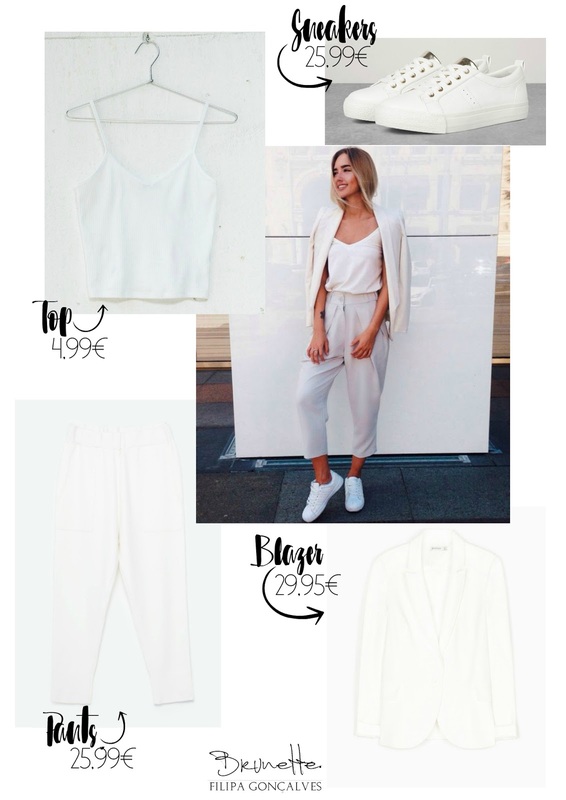 This look is super elegant and informal, is perfect for sightseeing and going out for lunch. You may have noticed, I love the blazers of Stradivarius and so I use them whenever I can, either to blog posts, as in the day. I hope you enjoyed this post, I will shortly make an All Black for this cold season approaching. O nosso cabelo sofre imenso com as agressões vindas do ambiente - sol, vento, chuva, etc. - e com isto, todo o cuidado é pouco. 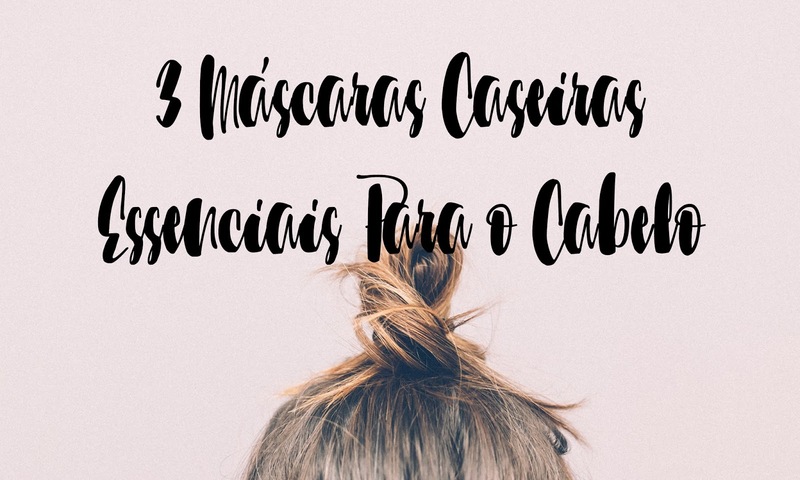 Todas as mulheres adoram ter aquele cabelo de fazer inveja, mas vá, vamos ser realistas, gastar balúrdios em mascaras e hidratantes acaba por ser um bocado dispendioso e tendo isto em conta, venho mostrar-vos 3 das minhas máscaras preferidas que podem ser usadas durante todo o ano. O óleo de coco tem um cheiro delicioso! Esta receita, além do cheiro, deixa o cabelo hidratado e nutrido. Ingredientes: 2 partes de óleo de coco e 1 parte de azeite. Instruções: Misturando óleo de coco e o azeite numa taça e aplicando a mistura no cabelo, temos que insistir mais na zona das pontas. Enrolamos o cabelo e cobrimos-lo com uma touca de banho. Depois do tempo recomendado, basta lavar com champô e o amaciador que costumam usar. Tempo: Entre 15 a 30 minutos. Esta máscara é para quem tem o cabelo fino e frágil. O potássio da banana ajuda a fortalecer e a restaurar o cabelo. Ingredientes: 1 banana (o mais madura possível) e 1 colher de sopa de mel. Instruções: Colocamos a banana numa liquidificadora com o mel. Esta mistura tem que ficar completamente em papa. Aplicamos a mistura no cabelo e cobrimos com uma touca de banho, depois é só esperar e lavar o cabelo normalmente. 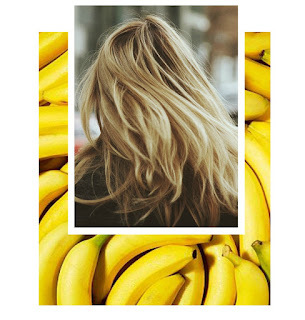 O abacate é o fruto de sonho de qualquer mulher, ele é bom para o cabelo, para a cara e para a saúde.É óptimo para as pontas e quando misturado com uma gema de ovo, revitaliza naturalmente o cabelo. Ingredientes: ½ abacate e 1 gema de ovo. Instruções: Misturando a geme de ovo e o abacate na liquidificadora, ela vai ficar em papa como no caso da banana. Aplicamos no cabelo - de baixo para cima - e depois de enrolado num coque, colocamos a touca de banho. Esperamos e depois lavamos o cabelo normalmente. E, como sou muito vossa amiga, vou dar-vos uma dica extra: usem durante o banho, pois o calor da água vai "abrir" o cabelo e isso irá ser uma bem mais valia quando usarem as mascaras. Our hair suffers a lot from the environment aggressions - sun, wind, rain, etc. - and with this, we can not be too careful. 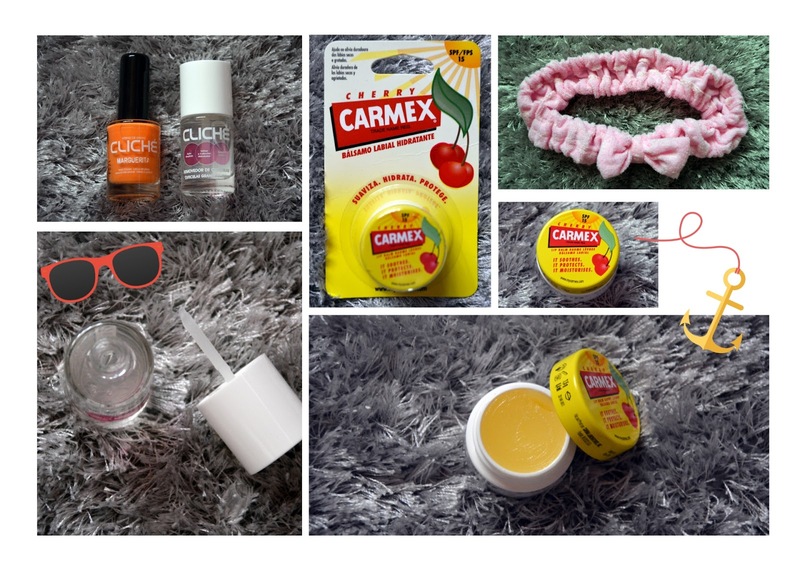 Every women want that hair that makes everyone else jeoulous, but come on, let be realistic, spend a lot of money in masks and moisturizers turns out to be expensive, and with this in mind, I want to show you three of my favorite masks that can be used throughout the year, that are low cost. Coconut oil has a delicious smell! 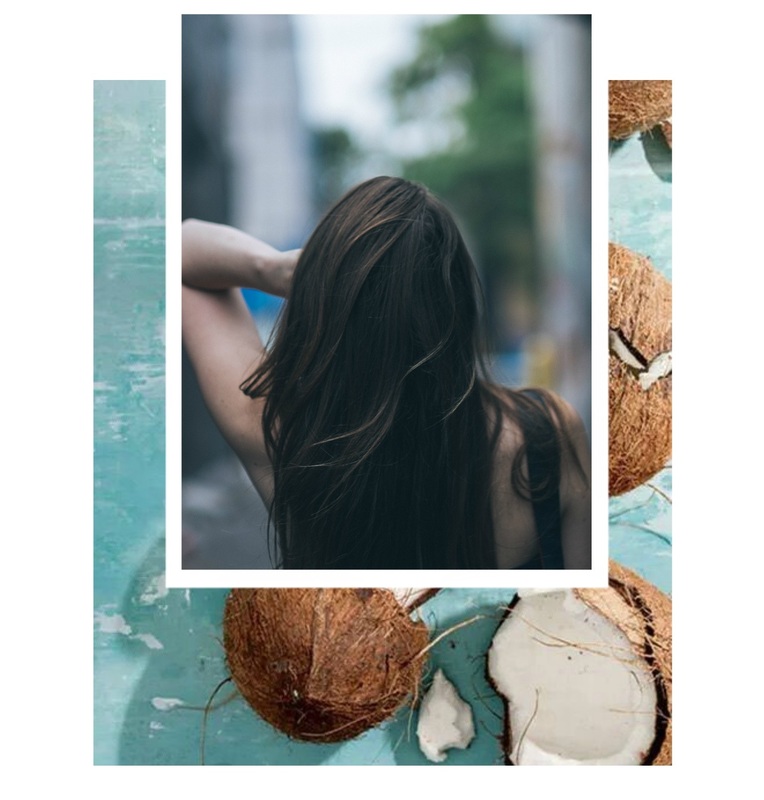 This recipe, besides the smell, leaves hydrated and nourished hair. Ingredients: 2 parts coconut oil and 1 part oil. Instructions: mixing coconut oil and olive oil in a bowl and applying the mixture to the hair, we have put more emphasis on the region of the tips. We wrapped the hair and cover it with a shower cap. After the recommended time, simply wash it with shampoo and conditioner that you typically use. Time: 15 to 30 minutes. This mask is for those who have thin and fragile hair. The potassium of the banana helps strengthen and restore hair. Ingredients: 1 banana (the more mature possible) and 1 tablespoon of honey. Instructions: put the banana in a blender with honey. This mixture has to be completely in mash. Apply the mixture on the hair and cover with a shower cap, then just wait and wash your hair normally. 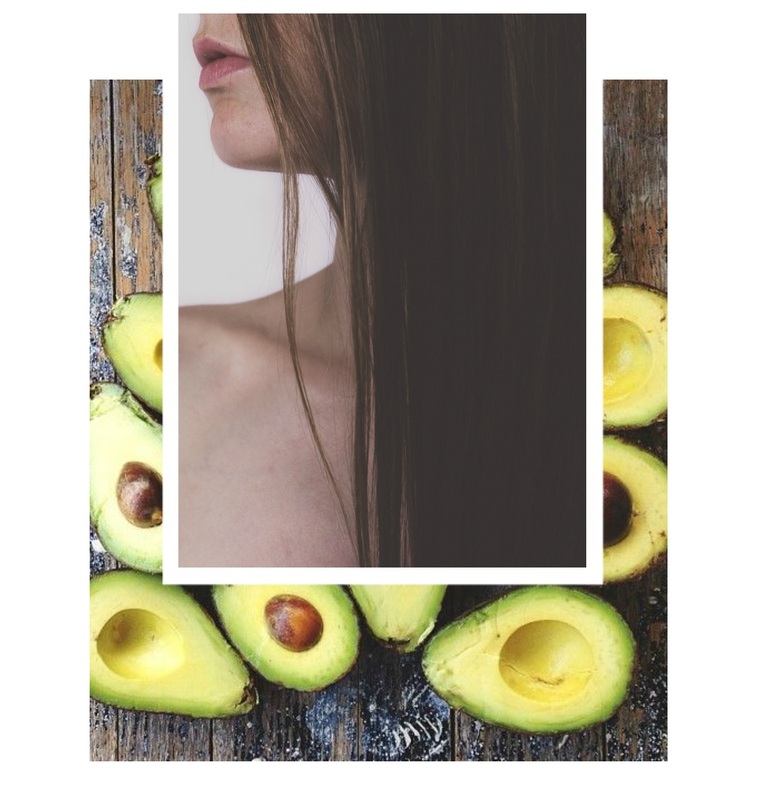 Avocado is the dream fruit of any woman, it is good for the hair, to face and for health. It's great for tips and when mixed with an egg yolk, it naturally revitalizes hair. Ingredients: ½ avocado and 1 egg yolk. Instructions: Mixing the groans of egg and avocado in a blender, it will be in mash as in the case of bananas. Apply on hair - from bottom to top - and then rolled in a bun, put a shower cap. We wait and then we wash our hair normally. And, as I am much your friend, I will give you an extra tip: use while bathing, because the heat from the water will "open" the hair and it will be a real asset as well when using the masks. Não precisamos de ser adolescentes para aproveitarmos as promoções e as coleções do "Regresso às Aulas", até porque há quem já não ande na escola ou ande na faculdade. Mas o estilo de roupa é algo que podemos aproveitar, basta usarmos uma camisa aos quadrados ou uns ténis do estilo skater. Os casaco de algodão ou felpas, são óptimas escolhas para este estilo, são descontraídas e muito confortáveis. A opção de usar patches nas t-shirts e nas malas, também parte do gosto de cada um. Podemos comprar algo já constituído ou podemos comprar os patches à parte e personalizamos ao nosso gosto e estilo. We do not need to be teenagers for us to enjoy promotions and collections from "Back to School", because there are those who do not frequent school or go to college. But the clothing style is something we can take advantage of. Using a shirt with square patterns or a skater style sneacker. Cotton jacket or sweater, are great choices for this style they are relaxed and comfortable. The option to use patches in T-shirts and in bags, also part of the taste of each. We can buy something already made or can buy patches aside and customize to our liking and style. Usar porta-moedas de borracha e carteiras com velcro, já foi algo que passou por nós à uns anos, mas nada impede de voltar a usar. As lojas estão cada vez mais a trazer de voltar, o que já foi moda e isto não é excepção. Para quem gosta de se destacar, usar cores mais vivas (ex. vermelho) ou usar padrões coloridos (como o da capa de iPhone ou do boné) também é algo a ter em conta, é algo in que bem conjugado, melhora qualquer look. Using rubber coin purses and wallets with Velcro, it was something that has passed us a few years ago, but nothing prevents resuming use. Stores are increasingly bringing back what was already fashionable and this is no exception. For those who like to stand out, use more vivid colors (eg. 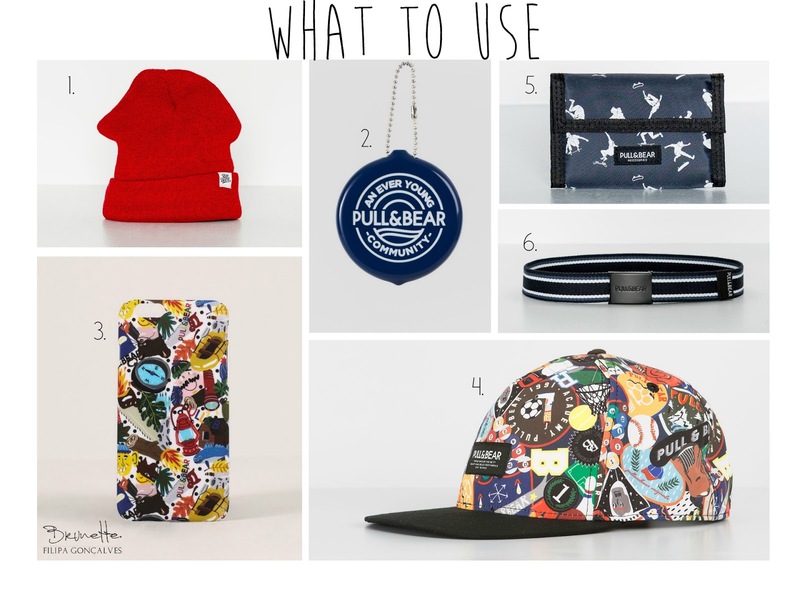 Red) or use colorful patterns (such as the iPhone cover or cap) is also something to take into account, it is something well conjugate enhances any look. As vossa aulas já estão quase a começar ou ainda têm muito tempo de férias por aproveitar? Are your classes just about to start or do you still have plenty of vacation time to enjoy? Hoje trago-vos um pequeno post dos meus bombers favoritos que se encontram à venda. Estou a ficar viciada em bombers e cada vez mais encontro com diferentes padrões e tecidos que os tornam especiais! Os meus preferidos são o 1 e o 6, esses são sem dúvida a minha cara! E vocês gostaram de alguns? 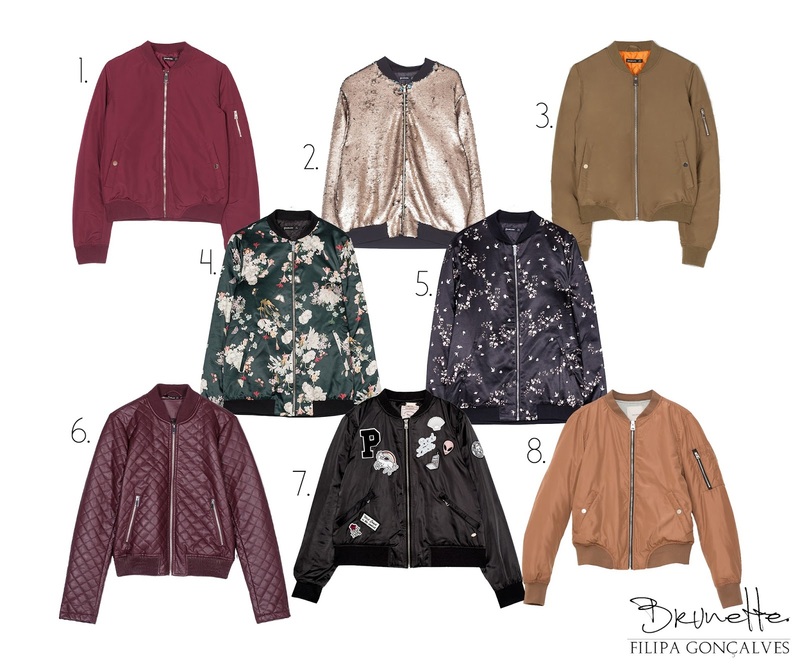 Today I bring you a little post about my favourite bombers that are on the stores. I'm getting addicted to bombers and more and more, I find some with different patterns and fabrics that make them specials! My favourites are number 1 and 6, they are definetly my style! And did you like some? 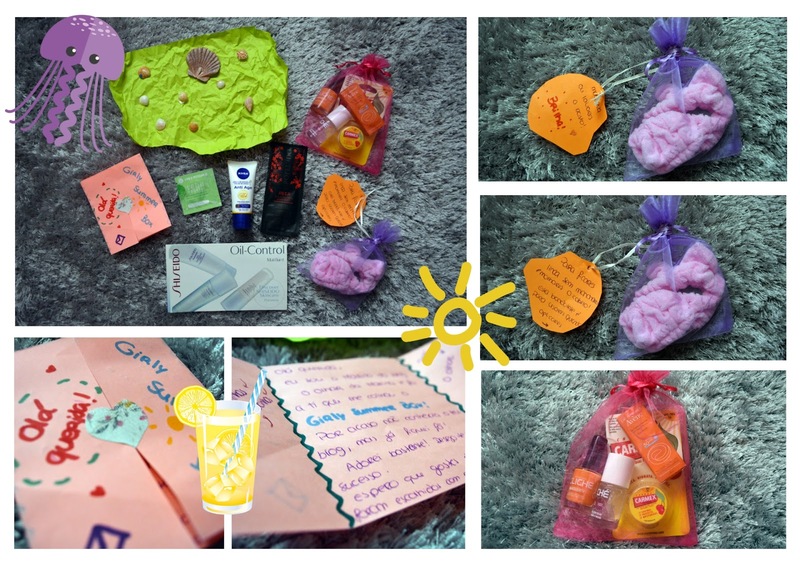 Há pouco tempo fui contactada pela Zaful para uma parceria com o blog, consistia em escolher as minhas peças favoritas e partilha-las com os meus seguidores. Estando ainda no Verão, claro que as melhores peças seriam os bikinis e roupa de Verão. 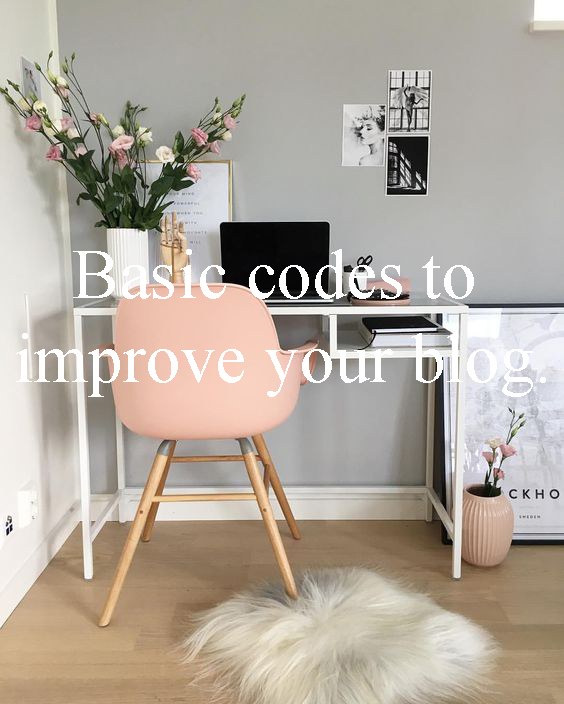 Not long ago I was contacted by Zaful to a partnership with the blog, which was to choose my favorite pieces and share them with my followers. Being still in the summer, of course the best part would be the bikinis and summer clothes. Escolhi os meus bikinis preferidos, com padrões giríssimos e modelos adoráveis! Devo dizer que fiquei bastante contente pela qualidade dos bikinis e por me servirem todos! Recomendo vivamente a quem quer bikinis baratos e bonitos a comprarem no site e verem as milhares de opções disponíveis. I chose my favorite bikinis with gorgeous patterns and lovely models! I must say I was quite pleased by the quality of bikinis and for fiting me all! I strongly recommend to anyone who wants cheap and beautiful bikinis to buy on the website and see the thousands of options available. Escolhi estes bikinis porque adorei-os, adorei os padrões e os modelos. Alguns deles são reversíveis, ou seja, tenho muito mais opções para usar na praia. Posso dizer-vos que o meu preferido é este e este. I chose these bikinis because I loved them, I loved the patterns and models. Some of them are reversible, meaning that I have a lot more options to use on the beach. I can tell you that my favorite is this one and this. Encomendei também este soutien/top, foi amor à primeira vista! Ele veste bem e fica super giro! Serve-me perfeitamente e veio com uma qualidade muito boa. I also ordered this bra / top, it was love at first sight! He fits very well and is super cute! 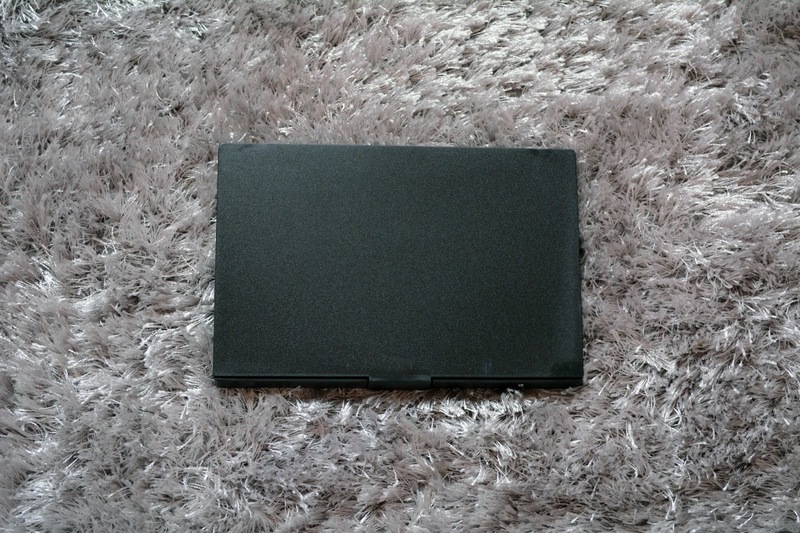 It suits me perfectly and came with a very good quality. Não é novidade que esta tendência é um Must Have para a próxima estação, todos os anos vemos o padrão camuflado e as parkas caqui nas lojas e na rua. Juntei as minhas peças de eleição das minhas lojas favoritas - Pull&Bear, Zara, etc. - e criei esta pequena imagem para vos mostrar algumas das peças que quero muito comprar este ano e o quão bonitas são. Admito que a nº4 já me pertence e não podia estar mais feliz pois é linda! Procurei algumas imagens no Pinterest e juntei-as aqui para vocês verem os looks mais trendy com o padrão camuflado. 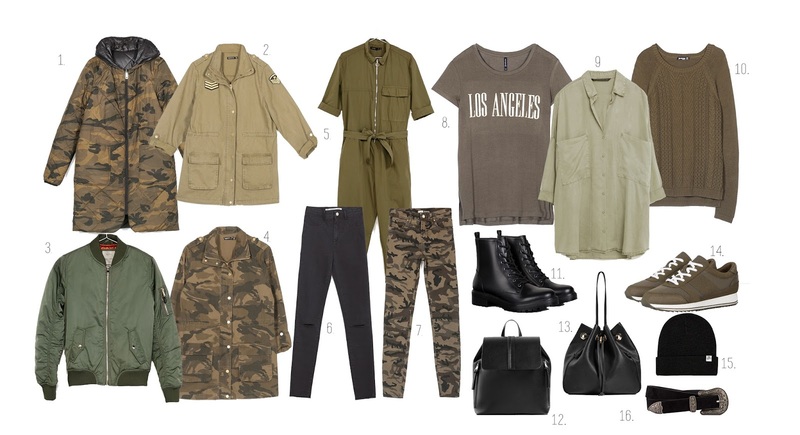 Unsurprisingly this trend is a Must Have for the next season, every year we see the pattern camouflage and khaki parkas in stores and on the street. 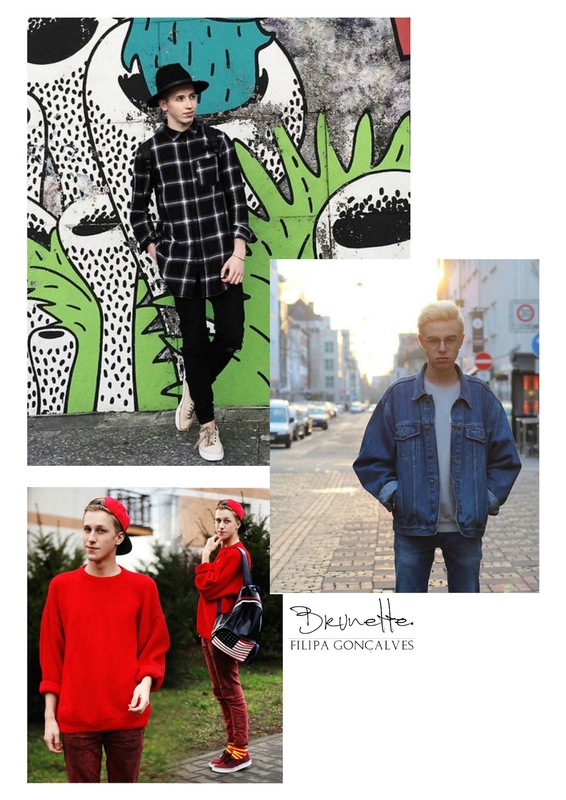 I gathered my election pieces of my favorite stores - Pull & Bear, Zara, etc. - And created this little image to show you some of the pieces that I really want to buy this year and how beautiful they are. I admit that # 4 already belongs to me and I could not be happier because it is beautiful! 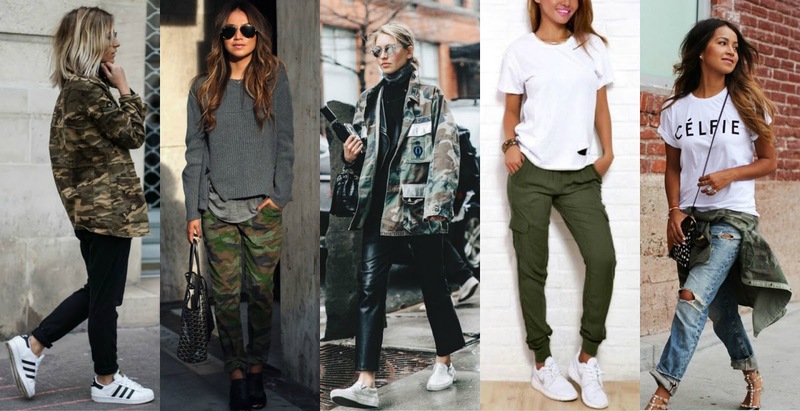 I searched some images on Pinterest and joined them here for you to see the most trendy looks with the pattern camouflage. Não se esqueçam de me seguir no Instagram com o nome @fi_goncalves e no Snapchat @figoncalvesblog ! Don't forget to follow me on Instagram with the name @fi_goncalves and on Snapchat @figoncalvesblog ! Todos os dias somos inspirados com o que nos rodeia, seja no trabalho, na rua ou em casa. Esta tendência é inspirada no ballet e na roupa que as bailarinas usam quando dançam. Existe uma junção de estilos que torna isto tudo perfeito, desde as saias tule aos casacos de cabedal ou as camisolas de malha oversized com sabrinas com laços. Every day we are inspired by what surrounds us, whether at work, on the street or at home. This trend is inspired by ballet and clothes the dancers use when they dance. 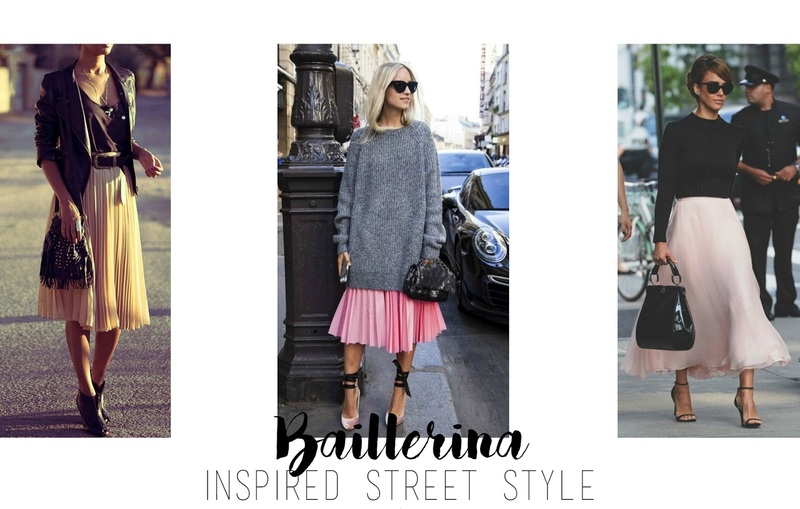 There is a combination of styles that makes it all perfect, from the tulle skirts with leather jackets or oversized knitted sweaters with ballet flats with laces. Esta tendência é caracterizada pelos tons em pastel e cores claras. Vemos também muito uso de tules e algodão nas peças que as tornam leves e femininas. Este estilo na minha opinião será um Must Have para esta estação, misturar saias tule com casacos de cabedal e criar looks fantásticos e sem igual! This trend is characterized by pastel tones and light colors. We also see a lot of use of tulle and cotton in the pieces that make them light and feminine. This style in my opinion is a Must Have for this season, mix tulle skirts with leather jackets and create stunning and unique looks! Quanto a vocês não sei, mas eu vou apostar nesta tendência! Estou a adorar cada outfit que encontro e adoro a roupa que as lojas estão a apostar este ano. I don't know about you guys, but I will bet in this trend! I am loving every outfit I find and I'm loving the clothes that the stores are betting on this year. E vocês gostam deste estilo? Eram capazes de usar alguma destas peças? And do you like this style? Were you capable of use some of these pieces? 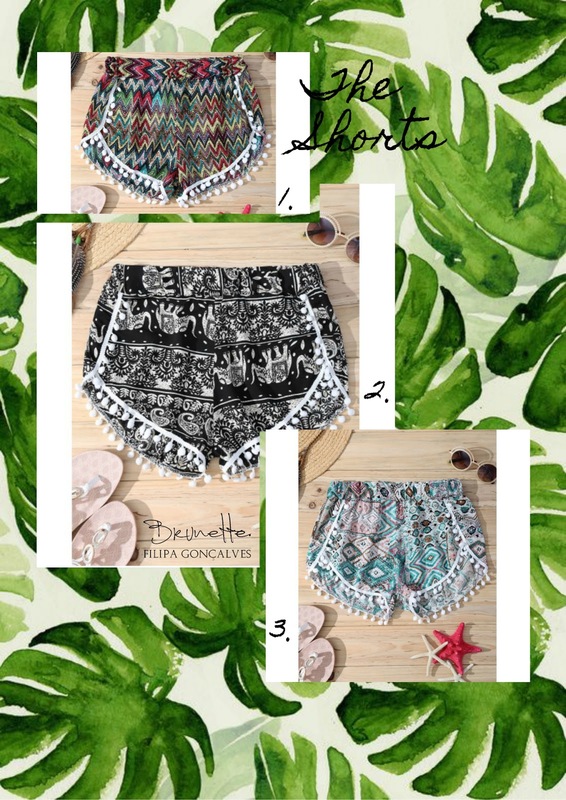 Juntei-me à Dresslily para vos trazer um 'wishlist post' dos meus essenciais de Verão. Para quem não conhece, a Dresslily é uma loja online onde podem comprar a maior variedade de artigos de moda - calçado, bijutaria, roupa, etc - a preço MUITO baixos. Assim que fui contactada pela loja, fui logo "coscuvilhar" o conteúdo desta e devo dizer que fiquei radiante com aquilo que me deparei! 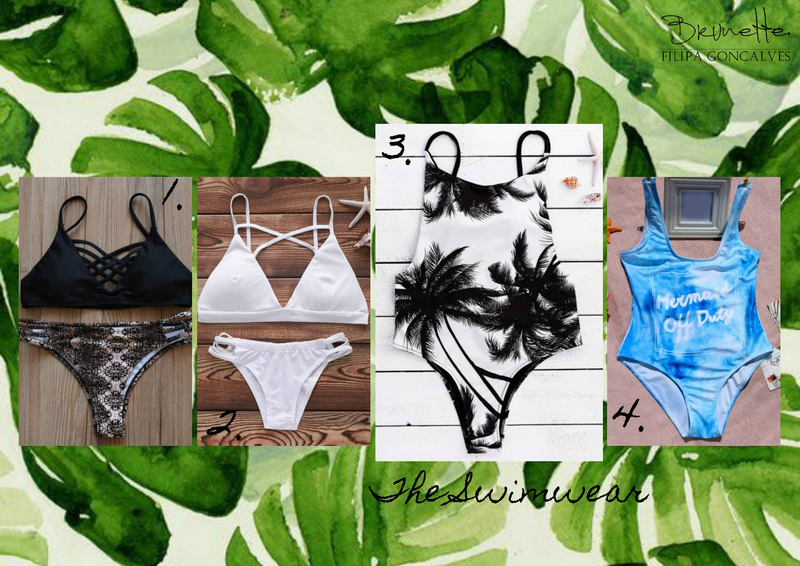 Encontrei bikinis lindíssimos, vestidos giros e a minha maior descoberta foram as toalhas de praia, simplesmente apaixonei-me por elas! Já andava a namorar toalhas deste género à imenso tempo mas o preço nunca me agradou muito (mais de 20€!!!) e estas são IGUAIS às tantas outras que vi mas o preço é muito mais pequeno e bastante em conta. 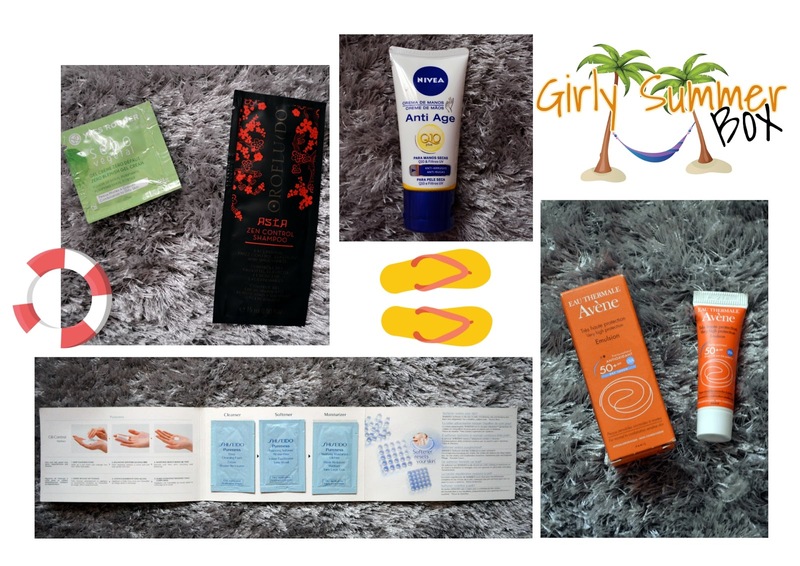 I joined with Dresslily to bring you a wishlist post of my summer essentials. 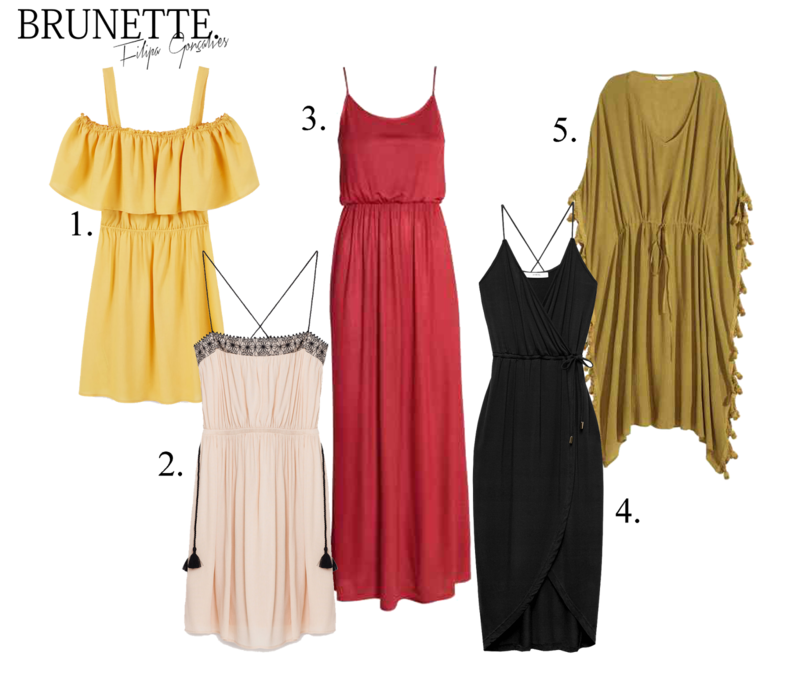 For those unfamiliar, Dresslily is an online store where you can buy the widest range of fashion items - shoes, jewelery, clothing, etc. - in a VERY low price. When I was contacted by the store, I immediately went "gossip" the contents of this and I must say I was delighted with what I came across! 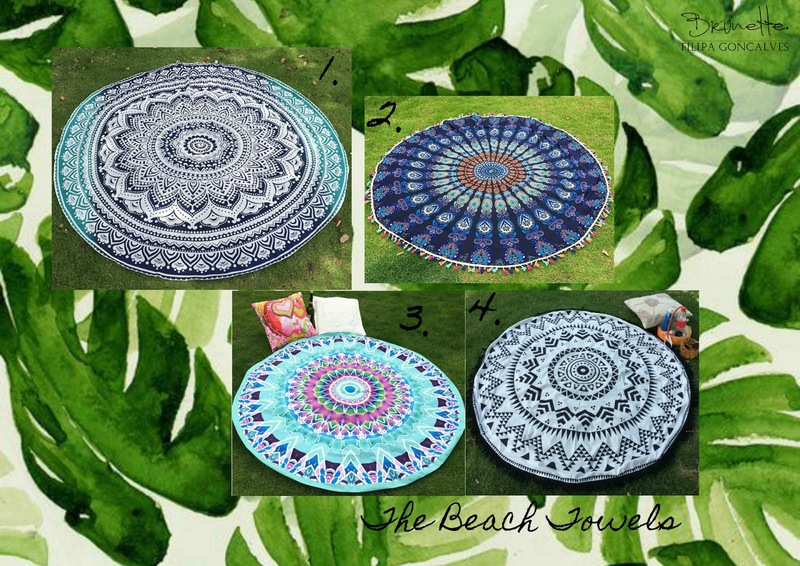 I found lovely bikinis, beautiful dresses and but my greatest discovery was the beach towels, I simply fell in love with them! I was already dating these towels of this kind for a long time but the price never pleased me (more than 20€!!!) and these are EQUAL to many others that I saw but the price is much smaller and fairly into consideration. Escolhi alguns vestidos das minhas marcas preferidas. Este tempo está muito quente e estes vestidos são MUITO frescos. Eu queria comprar um vestido fofinho e bonito, algo que fosse a minha cara. Os meus preferidos são o 1, 2 e 4, apesar de estar especialmente caída para o 1, adoro a cor dele. I chose a few dresses of my favorite brands. This time is very hot and these dresses are SO fresh. I wanted to buy a cuddly and cute dress, something that was my face. My favorites are 1, 2 and 4, despite being especially fallen to 1, I love his color. E vocês qual gostam mais? And what dress do you like more? Já tinha este look para vos mostrar a algum tempo, a minha fotografa desta vez foi a minha cabeleireira e fez-me estas tranças super giras! Eu não consigo fazer isto, por muito que tente, é impossível! Esta semana tem sido uma loucura por causa dos saldos e dos jogos europeus de futebol, as pessoas juntam-se na zona da restauração a ver o jogo e depois quando acaba, atacam os saldos. 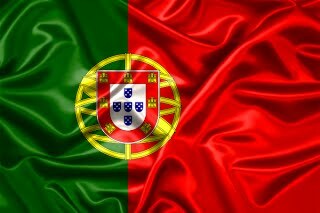 Estou muito orgulhosa da nossa seleção, chegamos à final europeia e domingo vai ser o grande jogo! I already had this look to show you a while, my photographer this time was my hairdresser and made me these super cool braids! I can not do this, even if I try, it's impossible! This week has been crazy because of the sales and European football matches, people join in the catering area to see the game and then when it ends, they attack the sales. I am very proud of our team, we reached the European final and Sunday will be the big game! Olá gente gira! Como alguns de vocês sabem, faço parte de um grupo no facebook, o Girly Bloggers PT. Este grupo não é como os outros que se vêm por ai, que são depósitos de links, neste grupo conseguem criar amizades, partilhar experiências (boas ou más) e trocar ideias com os restantes membros. Desta vez, a ideia que tiveram foi haver uma troca de prendas secreta relacionada com o Verão e as administradores sortearam à sorte quem saía a quem. Como podem ver pelas fotos, recebi coisas muito variadas, desde bálsamo labial a removedor de cutículas. Ela também me deixou umas conchinhas super queridas e uma mensagem adorável! As culottes vieram para ficar e vemos isso todos os dias. As marcas apostam cada vez mais em trazer designs divertidos e versáteis, sejam em calça ou em macacões. Esta peça é sem dúvida uma peça-chave em qualquer guarda-roupa, ela assenta em todos os tipos de corpo e fica bem em qualquer pessoa. Eu adquiri recentemente um macacão da Pull&Bear em culotte e estou viciada nele! 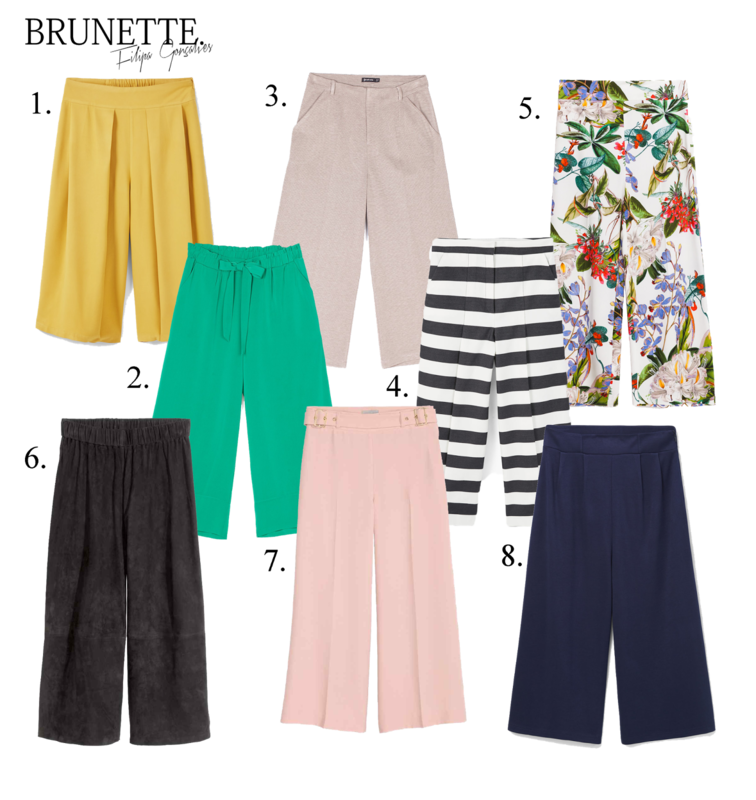 The culottes are here to stay and we see it every day. The brands are increasingly focusing on bringing fun and versatile designs, whether in pants or jumpsuits. This piece is certainly a key piece in any wardrobe. it wears well on all body types and looks good in anyone. I recently got a jumpsuit Pull & Bear in culotte and I'm addicted to it! Brevemente irei postar aqui o look para vocês verem. Soon I will post here the look for you to see. E vocês o que acham desta moda? Eram capazes de usar? And what do you think of this trend? Were you capable to use? Estou a tentar aproveitar as minhas férias, infelizmente hoje o tempo esteve tristonho, acordei cedo com a chuva a bater-me na janela. Eu ontem pensei: "Vou à praia! ", hoje quando acordei coloquei logo esses planos de parte! Vamos lá ver se até ao final da semana tenho sorte e se ainda vou à praia! I'm trying to enjoy my vacation, unfortunately today the weather was gloomy, I woke up early with the rain hitting my window. Yesterday I thought, "I'm going to the beach!" Today when I woke up just put these part of plans! Let's see if before the end of the week I'm lucky and still go to the beach! Como não fui à praia, decidi ir passear por Lisboa, já à imenso tempo que não metia lá os pés e como não davam chuva para a capital, lá fui eu juntamente com o meu namorado e a minha irmã. Foi um dia giro, mesmo com o tempo assim. Ainda consegui fotografar o meu look, espero que gostem. As I did not go to the beach, I decided to go sightseeing in Lisbon, it's been a long time since I was there, and as predicted no rain there, I went with my boyfriend and my sister. It was a cute day even with the weather like this. I still managed to shoot my look, I hope you enjoy. 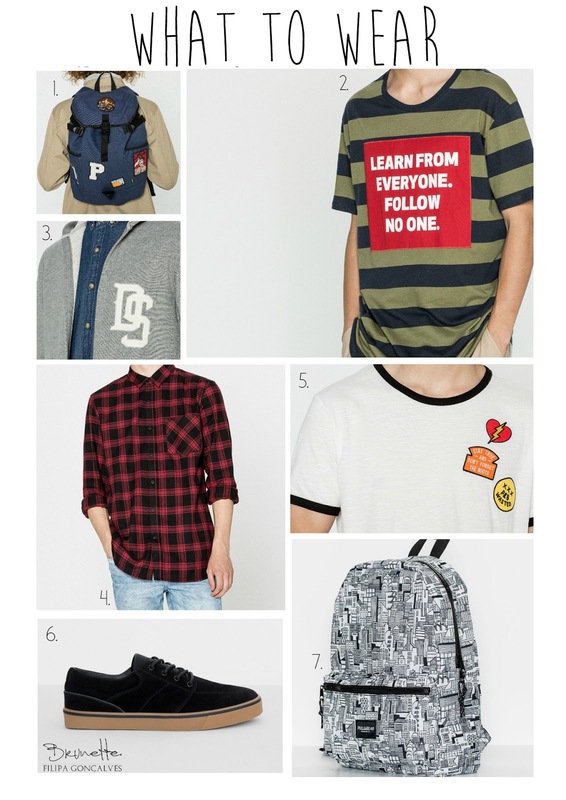 Aqui estou a usar a minha saia da Pull&Bear e os meus ténis novos, também da Pull&Bear - ESTOU APAIXONADA POR ELES!!! <3 - o meu crop top básico branco e casaco de ganga elástica da Stradivarius. Gosto muito deste casaco porque fica justo ao corpo e consigo me mexer na mesma (tenho os ombros um bocado largos e habitualmente tenho que usar tamanho M porque se não, não consigo levantar os braços, este casaco é tamanho S! Yeeeey!). A minha mala é Primark e o relógio - que está a precisar de uma reforma - é Casio. Here I am using my skirt from Pull&Bear and my new sneackers, also from Pull&Bear - I AM IN LOVE WITH THEM!!! <3 - my basic white crop top and denim jacket are from Stradivarius. I love this jacket because it fits me well to the body and I can move freely (I have a litthe wide shoulders and usually I have to wear size M because if not, I can't lift my arms, thiss jacket is size S! Yeeeey!). My bag is from Primark and the watch - even do it needs a retirement - it's from Casio. And you, did you have fun today? 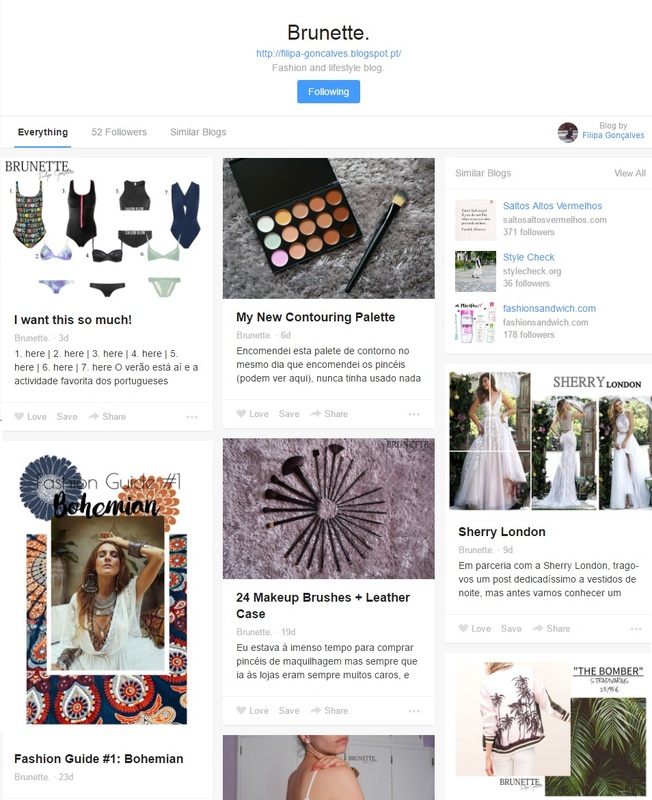 Follow my blog on Bloglovin! I follow back. Clica Aqui! // Click Here! O verão está aí e a actividade favorita dos portugueses também, PRAIA! Apanhar banhos de sol, bronzear até ficar com a pele morena e relaxar a ouvir o som do mar. Melhor é impossível! Eu estou quase de mini-férias (apenas 6 dias) mas quero aproveitar para ir à praia e tirar fotos de looks com a roupa nova que comprei e estou ansiosa para vos mostrar! E com o calor à porta, nada melhor que ir às compras dos bikinis para este ano, se forem como eu, todos os anos compram bikinis novos porque os outros já são antigos e "já não se usam", então tem que haver sempre um upgrade por esta altura. Estes são o meu top 7, eu estou completamente rendida aos números 2 e 4 da Triangl e ao 5 da Calvin Klein. Quero-os tanto! Summer is here and the favorite activity of the Portuguese also, BEACH! Soaking up the sunshine, sunbathing until we get dark skin and relax listening to the sound of the sea. Better is impossible! I'm almost at my mini-vacation (only 6 days) but I want to enjoy it by going to the beach and take pictures of looks with the new clothes I bought and am eager to show you! And with the heat at the door, nothing better than to go shopping for bikinis for this year, if you are like me, every year you buy new bikinis because the others are already old and "does not longer use", then you must always do a upgrade at this time. These are my top 7, I am completely surrendered to the numbers 2 and 4 of Triangl and 5 of Calvin Klein. I want them so much! Encomendei esta palete de contorno no mesmo dia que encomendei os pincéis (podem ver aqui), nunca tinha usado nada do género e fiquei curiosa por experimentar. Claro que não queria gastar muito dinheiro em algo que não sabia usar, então encomendei este que era barato e parecia-me útil. Devo dizer que ao usar a primeira vez, senti que esta palete era muito dura, não vinha com facilidade e tinha que "esgravatar" para sair algum produto, mas depois de usar mais que uma vez, vi que era mesmo de ser nova e agora uso-a sem problemas. Ainda estou a tentar apanhar-lhe o jeito, a tentar perceber se devo usar pincéis ou esponjas, de meto muito ou pouco produto. Eu recomendo vivamente a arranjarem uma palete destas, pelo menos quem está a começar, como eu. para experimentarem e usarem sem gastarem muito dinheiro. 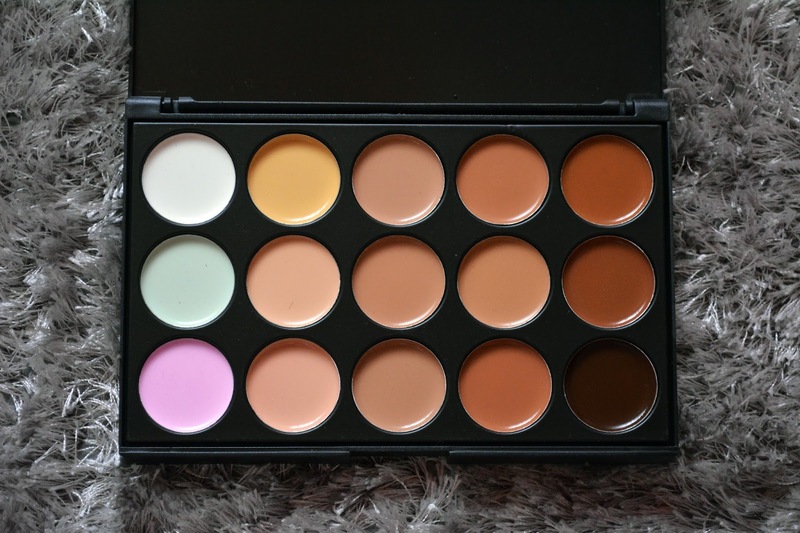 I ordered this contouring pallet on the same day I ordered the brushes (see here), I had never used anything like that and I was curious to try it. Course I do not want to spend much money on something that did not know how to use, so I ordered this it was cheap and it seemed useful. 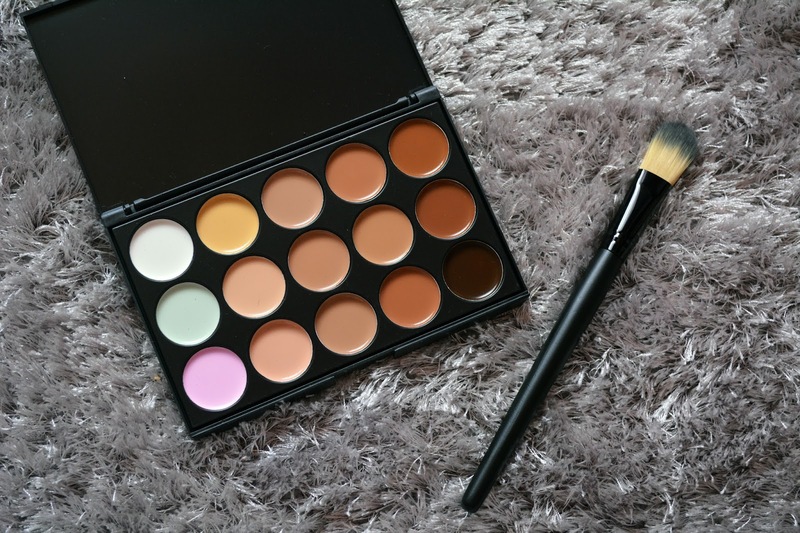 I ordered this contouring pallet on the same day I ordered the brushes (see here), I had never used anything like that and I was curious to try it. Course I do not want to spend much money on something that did not know how to use, so I ordered this it was cheap and it seemed useful.I must say that by using the first time I felt that this palette was very hard, it did not come easily and had to "scavenge" to get some product but after using more than once, I realized it was because of being new and now I use it without problems.I'm still trying to get the hang of it, trying to figure out if I should use brushes or sponges if I put too much or too little product. I strongly recommend to get a pallet of these, at least who is beginning, like me to try and use without spending a lot of money.